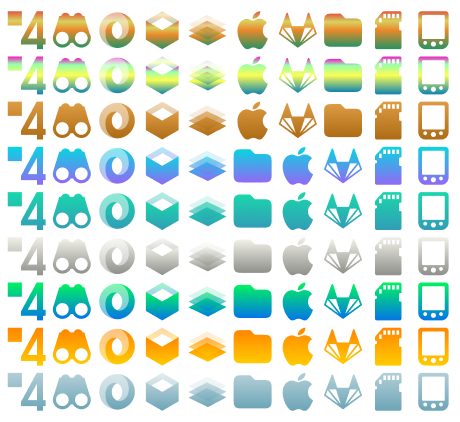 Awesome icons. What is the font in 2nd screenshot? Hi universal, sorry for my absence in this theme, I was more focused on Suru++ 25. But I have just upgraded Suru++ Dark, renaming to Suru++ 25 Dark, from Suru++ 25. I use Electrolize, Overpass, Overpass Mono and Titilium Web, theya re cyberpunk and futuristic fonts. +Perfect for Ubuntu 18.04 Yaru Dark theme. Je viens de faire upgrade de Suru++ Dark, en renomment pour Suru++ 25 Dark, venu de Suru++ 25. Hi, surprise by the fast replies. The problem like I mentioned is why are the icons in the "scalable" folders (coloured square themed) different then the picture above ? I install the icons directly from pamac in Manjaro. After applying the theme, Thunar has the correct white icons but the desktop has square coloured icons for applications. It is easy to see in those folders. Am I missing something ? I tried your file here in Linux Mint 19 and all the home folders are orange rounded-squares, not the white ones you show here. Hi, somebody wanted an original Andrea Bonanni (@Magog64)'s Suru++ with white monochromatic icons (16, 24 and 32), but to keep the scalable icons to be coloured and orange, for dark environments, and @Magog64 refused to develop it, preferring to offer support only for Ubuntu and for light environment of Ubuntu. It is why he delivered the responsibility of variants of Suru++ to me, since I became his collaborator. 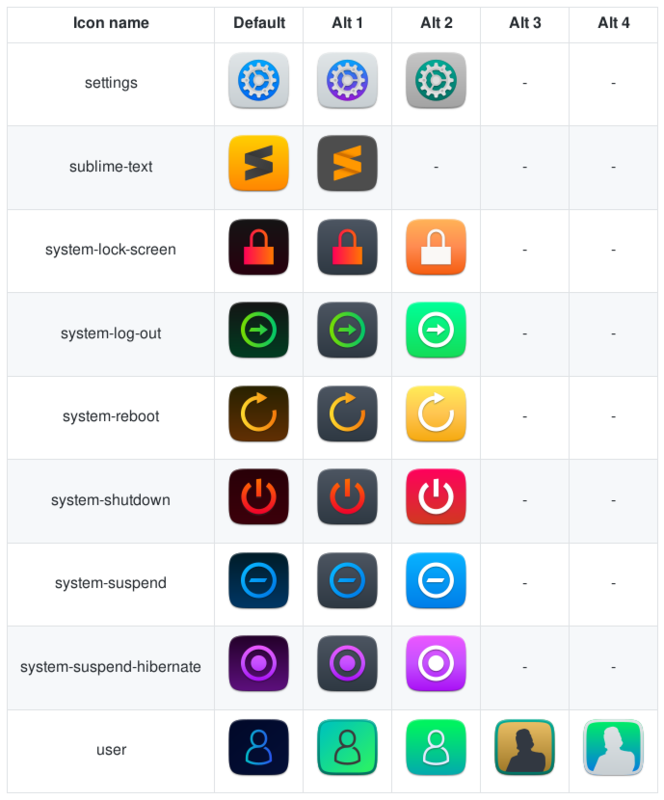 If the coloured scalable icons did not appear in Thunar, then it must be my index.theme's bug. I am going to fix it today. If you would like my Suru++ Dark's scalable icons to be fully white and grey, I will add your request to my to-do. Not just it, I will project the variant of Suru++ for Linux Mint and Manjaro, together with circular Suru++. "If you would like my Suru++ Dark's scalable icons to be fully white and grey, I will add your request to my to-do"
Yes please do. The theme has to be consistent all through. That will be great if you can do it. I am not sure how this work but the white icons are already made in the "32/" folder. Can't they be just port to the scalable/ folder ? Anyway with a minimum of work, you can release this new theme which will be consistent with the design. Hello, please, can you screenshot or screen-record (use Peek) the anomalies of the icons? Ces sont des icônes perdues parce que tu as supprimé le dossiers d'icônes scalables. L'auteur originel du Suru++ originel a oublié d'ajouter les icônes perdus aux dossiers 24 et 32. Aujourd'hui je les ajouterai. Although I am Brazilian, I speak French since 9 years old. It is one of my 15 languages. Malgré que je suis Brésilien, je parle le français depuis l'âge de 9 ans. C'est une de mes 15 langues. Tres heureux de parler à un ami Brésilien qui parle notre langue ici au Québec ! Good work my friend ! Here's my desktop. It will look gorgeous when you are finish. Thanks. Derived of Suru++ 25, Suru++ Dark has been upgraded, and renamed to Suru++ 25 Dark. 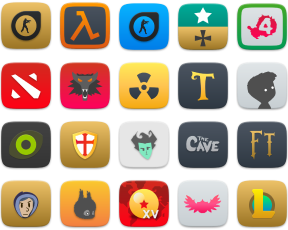 The most of icons have been changed to full dark. It won new folders colour for dark environments. +Perfect for Ubuntu 18.04 Yaru Dark theme. Thank you very much for your awesome work!